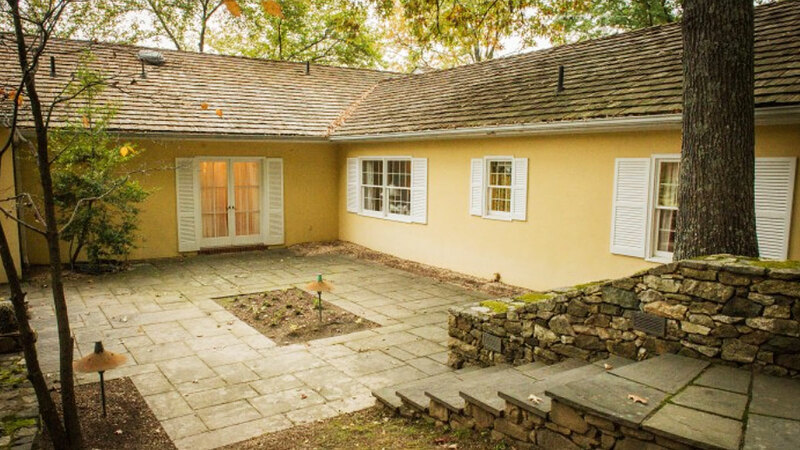 Left virtually unchanged since the days of Camelot, Wexford Estate in the rolling hills of Virginia horse country served -- briefly -- as a weekend home to President John F. Kennedy and his family. Half a century after his death, it's back on the market. The Kennedys designed the place from the ground up, but visited just twice after its completion: on Oct. 25, 1963, and again on Nov. 10, less than two weeks before the president's death. 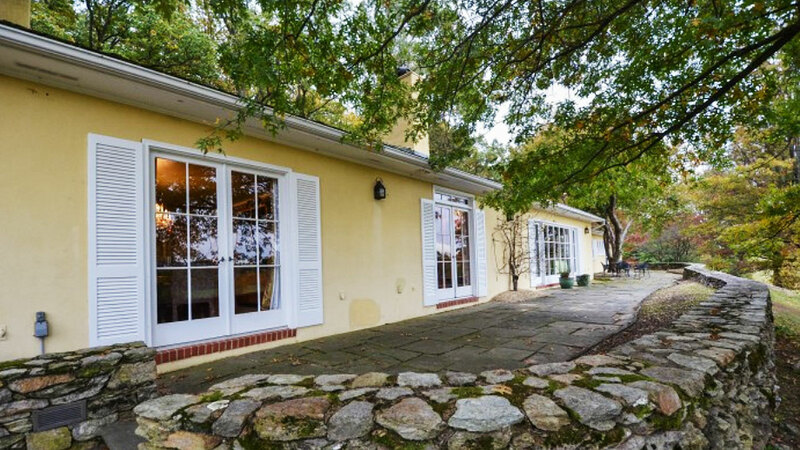 Jacqueline Kennedy sold the property a year later. The current owners have used it as a weekend getaway since 1991 and have listed it at a cool $10,995,000. News4's Wendy Rieger rode on a popular tour in Dallas that takes the final motorcade route of President John F. Kennedy. About an hour from Washington, D.C., the estate includes 167 acres (expanded from 39 in the JFK era), the original stables, a three-car garage and the four-bedroom, four-and-a-half-bathroom house. Details speak to the times: original parquet floors, space for Secret Service agents, and even a bomb shelter. This one story 5050 square foot home home, rich with character, features original parquet floors, his and her dressing rooms, multiple fireplaces, a formal dining, built-in cabinets and bookcases, nine foot ceilings and alternate power generators. The surroundings include natural stone landscaping, flagstone pool deck with an outdoor cooking area, vine covered trellises, stone patio and a tennis court. The basement space under the house conceals equipment and utilities. This equestrian property has stables for horses that include water, electrical, storage for hay and two separate living areas. There is also a separate three car garage with bath and second floor studio/office exists as well. The property still contains an underground bunker and dependencies used by Secret Service personnel. 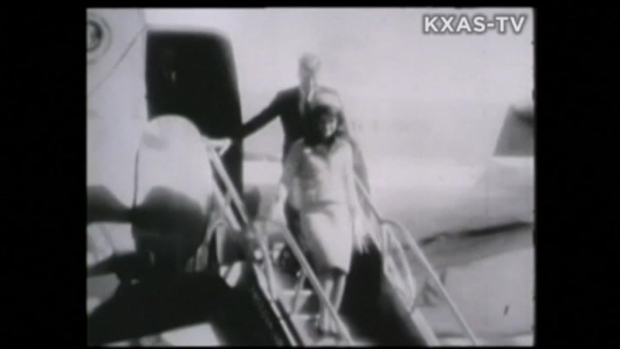 A video on the John F. Kennedy Presidential Library website shows 1963 footage of the home and property, and the family during their first visit. Jacqueline Kennedy pauses to pose outside the yellow stucco home; children frolic on the lawn. Inside, his-and-hers twin beds are made up carefully and pushed close together. Like nearly everyone within memory's reach of Nov. 22, 1963, Patricia Burns knows exactly where she was when the news broke of Kennedy's death. She was sitting in her 8th grade glass in Omaha when her teacher left the room. "She didn't come back for some time, and all of a sudden, she came back and looked very upset and asked us to look out of the window at the flag, which was at half-staff," Burns recalled. Her teacher delivered a stunning message: "I want you to know that President Kennedy has been assassinated." Now, half a century later, Burns is the real estate agent commissioned with selling Kennedy's historic property in Middleburg, Va.
"I'm of that age where I remember where I was that day, and it's so ironic to me that here I am, 50 years later... listing this property. I get the chills when I go up there," she said. "And it's so beautiful." She and several agents from Middleburg Real Estate planned to mark the 50th anniversary of Kennedy's death Friday by visiting Wexford around 1:30 p.m., the time he was killed. With a hefty price tag, the estate's only had one prospective buyer visit in the month it's been on the market. Burns says she emailed Caroline Kennedy to see if anyone from the family is interested in buying the estate, but hasn't heard back. Either way, Burns hopes the next buyer will honor the history of the place. "If somebody could put it on the national historic registry to save someone from developing it, that would be my preference, as the listing agent, and maybe donate it to the Kennedy library," she said. "It's such a special, historic iconic place. They were there just before they went to Dallas." Photos courtesy of Middleburg Real Estate.